Don’t able to import Excel contacts into Outlook Address Book, follow the easiest method to move excel contacts to Microsoft Outlook Application. As various errors occur while exporting contacts since excel have a different file format called .xls extension. As Excel file used for different purposes rather than storing an address contacts list of the user, but still helpful for Outlook user to import contacts to Outlook Address Book. Since various editions are available, such as Outlook 2016, 2013 and 2010,2007 and many more, but the method we are discussing in below section applies to all the versions of Outlook. As Various errors faced by Outlook user due to different editions such as "Missing Contact Information", "Protocol Error", "MAPI Error", To know more about error related during importing excel contacts into Outlook 2013 and other editions. The Quickest manual method to move Excel contacts list to Outlook using the CSV File format. Since CSV Format supported by CSV Format and allow a user to import CSV File data. If we convert the contacts stored in Excel format to CSV Format, then we can use the import/Export option of the Outlook Application to move Excel Contact List. For more ease, we try to explain the complete method using Screenshots so that without any problem, a naive, as well as Expert Outlook user. 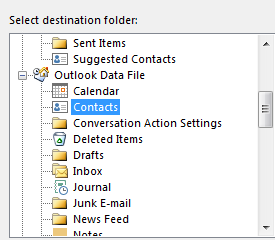 If still, you can import Excel Contacts into Outlook, then can directly move contacts using any third party software. Step1: Open the input file in Excel application and similar to below image, save the contacts of the user in Excel file format, user don't get any kind of Mapping error during the Conversion process. Step2: Mostly all Excel application offers an option to save the Excel contacts to CSV Format. To save in CSV Format, use "Save As" option to convert the file into CSV Format. In CSV File format, each value separated from by Comma (,) value. Step 3: Now save the Converted file within the system. Step 4: Now open the desired Outlook editions, in which you want to import the Excel contacts. Step 5: Open Outlook Application and Go to “File” menu and Select “Import/ Export” option. 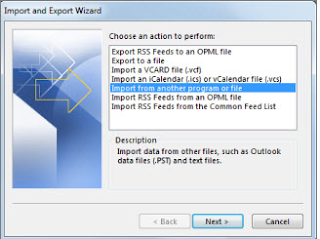 Step 6: Now in Import Export Wizard, select the option “import from another program or file. Option. Using this option, a user can import different file format and CSV format is one of them. 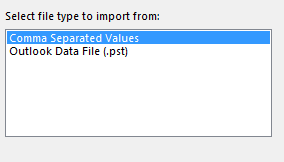 Step 7: Now click on “Comma Separated Values” and Click “Next” and browse the Converted CSV File from the System. Step 8: After selecting the file, a user needs to select the option offers by Outlook Application toavoid duplicates contacts, addresses issues. 3 options are offered by the application. Step 9: To import Excel contacts to Outlook Address Book, select the “Contacts” folder section while saving the location of addresses of users. 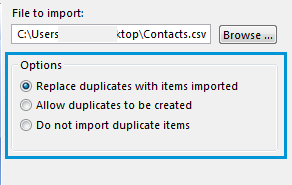 Note: If the option of “Import File.csv into folder Contacts is not selected automatically by the Outlook, then there are some chances of error in input CSV File. Some time while converting data into CSV format, instead of using (,) values and Delimiter (;) is used due to some default settings. So the user needs to be careful while performing the Conversion process. Step 11: In below section, you can view the Mapping Interface, where Outlook user needs to map the attributes of CSV file of “From” option to “Microsoft Office Outlook” Application. A user needs to Select “One field” from CSV File for Example in below section, we map the attributes like “Phone Number\” with the “Business Phone” Field and click “Next” and map all the attributes similarly till all the attributes get mapped. 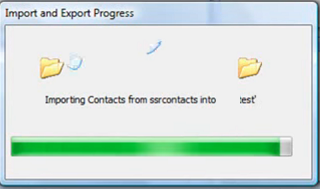 Step12: At last, click on “Finish” button to import Excel contacts to Outlook Application. 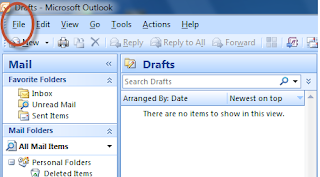 Step 13: When the process gets completed, you can view the imported contacts into Outlook Address Book. As you can see manual method are able to move contacts of Excel to Outlook 2016 / 2013 and below editions, as method works on all versions of Outlook Software. But if a user doesn't want to use this method and don't want to convert first into CSV Format and then follow the above procedure, a user can directly import Contacts from Excel into Outlook Application, using Third Party utility tools and the best tool for this conversion process is an Excel to vCard Converter. Tool directly move the Excel contacts list to Outlook Address Book, without converting into CSV Format. It also offers an option to map the attributes similar to Outlook application, so that user can map the attributes according to their need and also offers an option to remove duplicity issues.